I watched Hannibal Rising and noticed the lead character, I thought he was hot. So heres a bio and some pics. 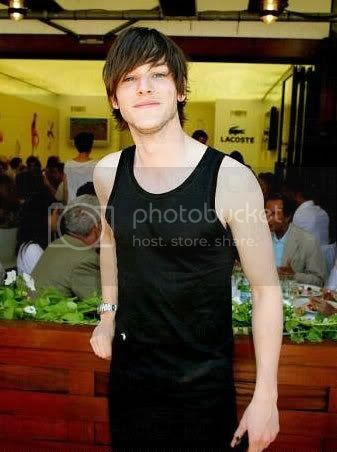 Gaspard Ulliel (born 25 November 1984) is a French film actor and male fashion model. He began appearing in made-for-television films during the late 1990s and early 2000s, and has since become known as a film actor in France, as well as starring in the title role in the movie thriller Hannibal Rising. Ulliel was born in the Parisian suburb of Boulogne-Billancourt to a runway show producer mother and a stylist father. He has a scar on his cheek as a result of a dog's scratch from when he was six years old. Ulliel attended the University of Saint-Denis, where he studied cinema. He began acting while he was still at school, appearing in 'Une Femme En Blanc', a film for French television. He also performed at the Cours Florent, where he was discovered by Les égarés director André Téchiné.